We make sure to supply our customers the highest quality 100% Remy Human Hair Extensions in the market. Satisfying our customers with is our main goal. Love your hair! CHOOSE YOUR LENGTH AND COLOR! 160 Grams. Affordable clip in 26" Remy Human Hair Extensions. Grade AAA. Enjoy long, healthy looking hair with easy to apply clip in extensions that add instant volume, length, and color to your hair. High quality hair and clips that stay securely in place during any activity you engage in. Undetectable Hair extensions that look and feel like your own natural hair. 160 Grams. Affordable clip in Remy Human Hair Extensions. Enjoy long, healthy looking hair with easy to apply clip in extensions that add instant volume, length, and color to your hair. High quality hair and clips that stay securely in place during any activity you engage in. Undetectable Hair extensions that look and feel like your own natural hair. 120 Grams. Affordable clip in Remy Human Hair Extensions. Enjoy long, healthy looking hair with easy to apply clip in extensions that add instant volume, length, and color to your hair. High quality hair and clips that stay securely in place during any activity you engage in. Undetectable Hair extensions that look and feel like your own natural hair. 120 Grams. Affordable clip in 100% Human Hair Extensions. Enjoy long, healthy looking hair with easy to apply clip in extensions that add instant volume, length, and color to your hair. High quality hair and clips that stay securely in place during any activity you engage in. Undetectable Hair extensions that look and feel like your own natural hair. 100 Grams Affordable clip in Remy Human Hair Extensions. Grade AAA. Enjoy long, healthy looking hair with easy to apply clip in extensions that add instant volume, length, and color to your hair. High quality hair and clips that stay securely in place during any activity you engage in. Undetectable Hair extensions that look and feel like your own natural hair. 80 Grams 16" Clip In Remy Hair Extensions Grade AAA, high quality clip in extensions for an unbelievable price. Get the hair you always wanted, add instant length, volume, and color. Clips that hold in place even during your most strenuous activities. Love your new look with shiny glossy natural looking clip in hair extensions. Comes in 7 clip in pieces for maximum coverage. Please allow one to two days for processing before your order is shipped. Make sure to provide us with the correct information so we can better service you and contact you about your order. PRODUCT DESCRIPTION: Our Remy hair extensions are the highest quality hair extensions on the market and one of the most popular with women around the world. Our Remy clip in hair extensions do not tangle and can be treated just like your regular natural hair. You can dye them, wash them, straighten and curl them. You will love their natural shine and gloss. Our clip in human hair extensions comes in either 7 or 9 clip in pieces to maximize coverage. Our clips are designed to hold in place during any activity you engage in and are extremely comfortable that you forget you are wearing them! Best of all, they are undetectable in your hair! We strive for customer satisfaction and offer only the best merchandise and products. Curly Hair Extensions are custom ordered per person and can take between 1- 4 weeks to deliver. Hair Extension Store Clip on style offers an exclusive line of hair extensions with unparalleled quality to fit your needs. Using 100% human hair extensions is the most innovative and gentle way to give your hair a whole new life by adding fullness and length without causing harm or damage. hair Extension Store Clip on hair extensions line covers an amazing selection of different style and color varieties giving you the ability to create the look of your dreams. Hair Extension Store Hair Extensions guarantees you total satisfaction with the certainty that you will love the hair you are in. Place a 2-piece clip to the back of head, divide hair in a straight line an inch above your neckline. Apply extension close to the hairline but not on the scalp. Divide hair another inch above and apply 3-piece?clip starting with the middle clip. Divide hair an inch above ear, apply 2-piece clip. Finally, divide hair on the side close to original hairline and apply the 1-piece clip. Repeat the process on the other side. Celebrities all over the world are being seen wearing hairpieces and clip hair extensions resulting in its immense popularity amongst people. Clip hair extensions help you transform your look within minutes. Also, clip on hair are convenient and can change the length, thickness and colour of your hair. Unlike permanent extensions they can be fitted at home in minutes without the need of an expensive hair stylist. Clip in extensions vary in width from 2 to 8 inches and are attached to your own hair by means of the small toupee clips which are sewn onto the extensions. Each extension is attached to small sections of the natural hair, using the clips. You simply section your hair horizontally and snap the clips shut over your hair, just under the part you made, near the scalp. * Practice opening and closing the snap clips on the hair extension. Use both your thumbs and your index fingers, and apply firm pressure to the ends of the clip. Leave each one open so they will be ready for fitting to your hair. * Before fitting your extension, straighten your own hair. You will get a more natural blending of your own hair with the hair in the extensions. * You might find it helps to lightly tease the underside of each section of your own hair before fitting the clips. This will help to give a firmer grip on your hair. * Start from the bottom of your head and work up towards the top. * Lightly comb your own hair over the extensions and check there are no lumps or bumps. * The longer lengths are best used for the back of the head and the shorter lengths are for the sides. Compared to permanent extensions, clip on hair extensions work out to be a lot less expensive. Also, Clip on hair extensions last longer because you do not wear them all the time. So if you want to experiment with your look and want to change the length and or colour of your hair for a special occasion, try clip on hair extensions. Clip-in hair extensions are the new rave this year with more and more women becoming health conscious and throwing away the hair glue (which can cause alopecia, bald spots and breakage) and tending towards clip in hair extensions - which not only cause no damage whatsoever but last 10x longer (normally approx 12 months). Remy hair is luxurious human hair and doesn't have one trace of synthetic materials - they are also softer. 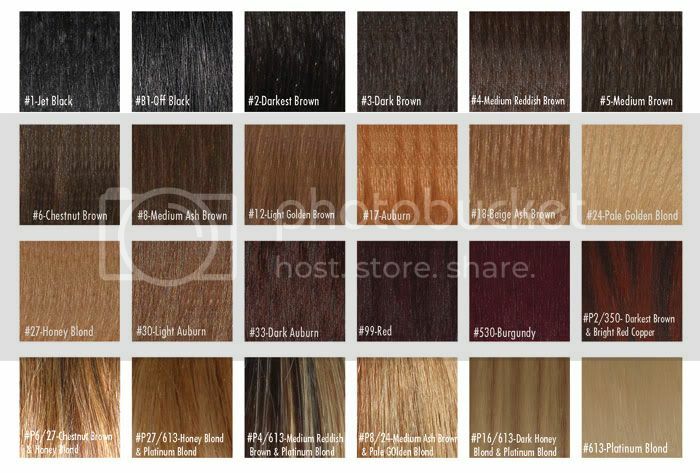 The hair used and supplied in our hair extensions is 100% Human Remy Hair. What this means to our client�s is that the cuticle of the hair runs correctly from top to bottom on each strand making a much shinier more natural looking hair. The hair used in our hair extensions has a wider diameter, making it thicker, stronger and giving it more elasticity which is perfect for hair extensions. This means that the hair extensions can be washed, styled, colored and blow dried more often and last longer than other types of hair without all the damages.